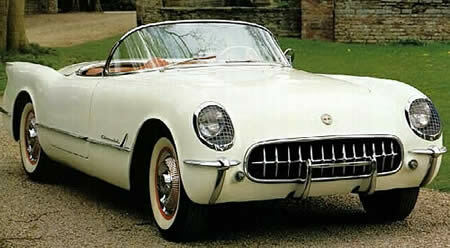 1953 production of the 1954 Corvette was moved to St. Louis, Missouri. Second-year Corvettes come in a choice of four colors. Folding top is now tan instead of black. 235 cubic inches, 150 (155) horsepower "Blue Flame 6"
1954 Roadster - Asking price: $0 - for sale lets talk?? ?